of something.... and it's been such a long time since then but today I found it!!! she doesn't have a cute little shih tzu to oblige!!!! checking through my unorganized pics!!! Looks like pamela Anderson needs a shave! LOL! 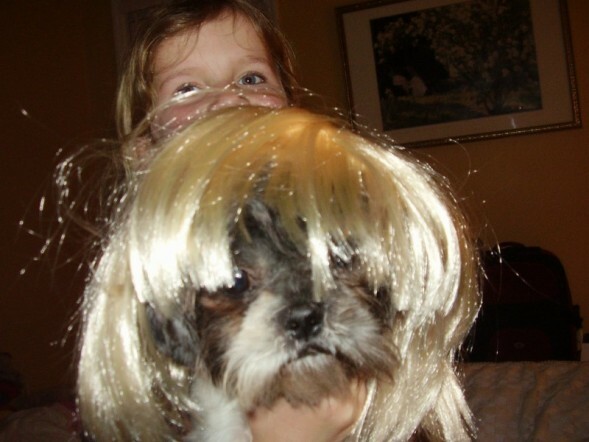 Why are dogs in wigs always hilarious? SHE's a little on the nutjob - hello! Oh what's going on here! NUTJOB?!!!!! Noooooooooooo. haha! you guys are nuts! maybe it´s all that georgian air... hugs!